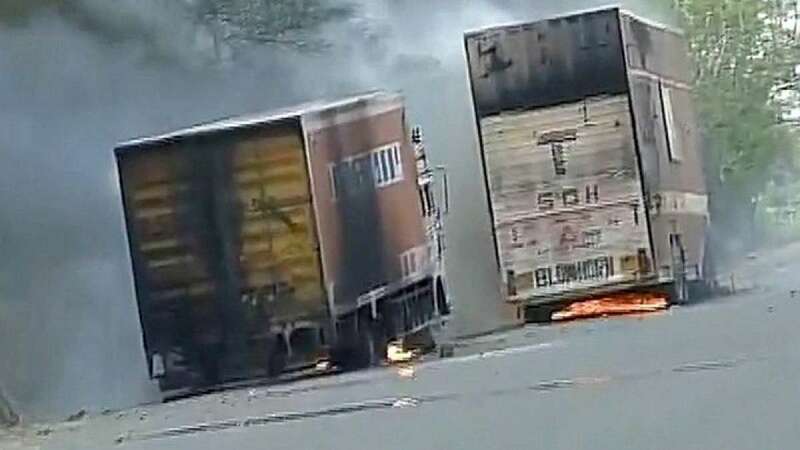 Bhopal : Agitation by farmers in Madhya Pradesh intensified on Wednesday with protesters setting eight to ten vehicles on fire. Cellular services have also been suspended in the area. Death toll in the agitation has also gone up to 6 people with several others getting injured in Mandsaur district of Madhya Pradesh as police opened fire on peasants who indulged in violence and pelted police with stones. Chief Minister Shivraj Singh Chouhan ordered a judicial probe after holding a meeting with senior civil and police officers. Mandsaur city and Piplya Mandi area were put under curfew after violence. On Monday, the Chief Minister had assured farmers that onions would be purchased by the government at Rs 8 per kg and 'moong' pulse at agreed price, and that a Rs 1,000 crore stabilisation fund would be set up.